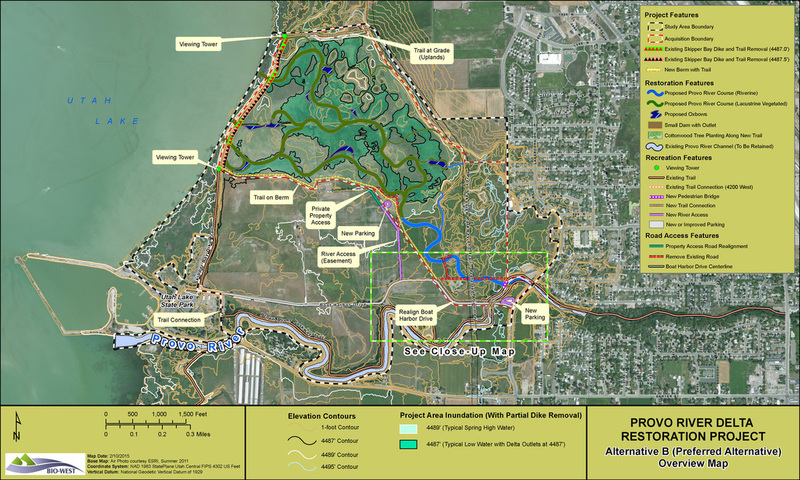 The Provo River Delta Restoration Project will create a more natural lower Provo River that will restore aquatic habitat to support recovery of the endangered June sucker. In the process, it will also help secure much needed water resources, help restore Utah Lake’s ecosystem, and will offer additional recreation opportunities amid scenic surroundings. The Provo River Delta area will be a unique and special place, in close proximity to a large urban center, where people can experience the lake as it was before urbanization. The project team consists of staff from the Utah Reclamation Mitigation and Conservation Commission, Department of the Interior-Central Utah Project Completion Act Office, Central Utah Water Conservancy District and the June Sucker Recovery Implementation Program. Low A low probability for adverse health effects is expected when cyanobacteria cell counts are between 20,000 and 100,000 cells/mL. Moderate A moderate probability for adverse health effects is expected when cyanobacteria cell counts are between 100,000 and 10,000,000 cells/mL. High A high probability for adverse health effects is expected when cyanobacteria cell counts are greater than 10,000,000 cells/mL, or there are cyanobacteria scums at bathing areas. Historically, Deer Creek Reservoir has experienced episodes of cyanobacteria, however their occurrence is ​minimal. In 2016 the highest reading of cyanobacteria in Deer Creek Reservoir was 1010.8 cells/mL (chart at left), or only 1% of the Low Probability of adverse health effects. 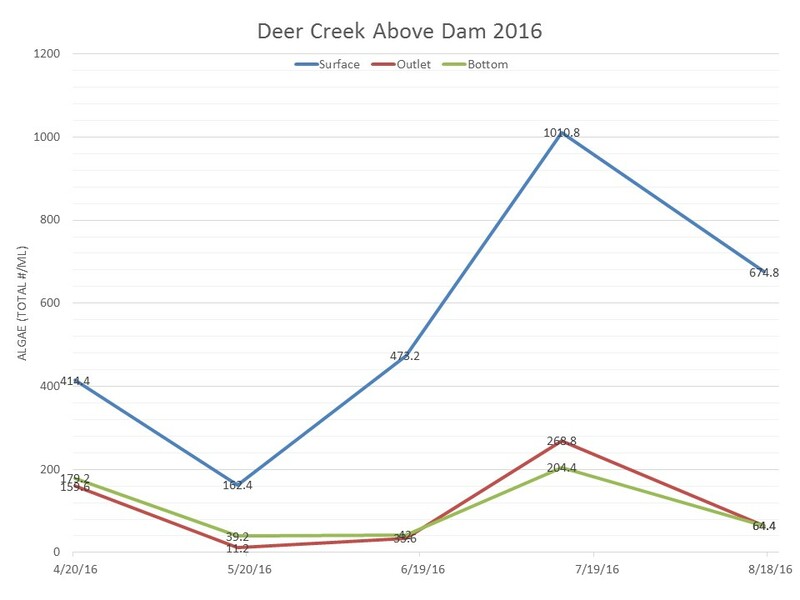 Jordanelle Reservoir’s readings are even lower than Deer Creek Reservoir. 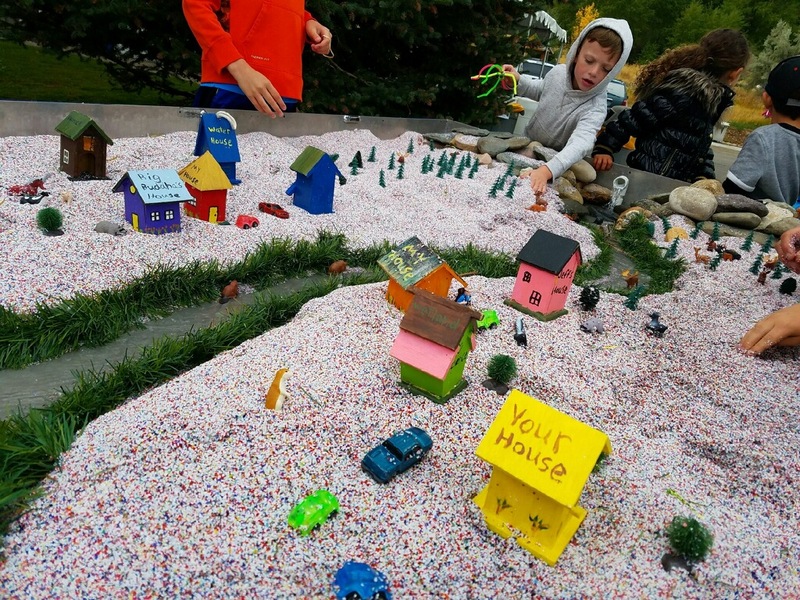 The 2016 Provo River Watershed Festival was another success, even considering the wet weather. There were birds of prey shows, Native American dance performances, storytelling, along with activity booths. Attendees could play with the hydrology trailer (photo left), make bug crafts, create pollution goop, find out the chemical properties of water, play What Do You Know about H2O?, and much more. ​For more details and pictures go the Watershed Festival Page.